Sixteen key recommendations emerged from a series of dialogues and workshops with other immigrant and refugee youth and their allies. Find out more about these recommendations, and the download the full report. The Fresh Voices team held a series of dialogues and workshops with other immigrant and refugee youth and their allies in 2011 and 2012 to explore and share issues faced by newcomer youth to B.C. Dialogues took place in Nanaimo, Victoria, Langley and Prince George in 2012. About 100 youth were consulted through the regional dialogues, and through presentations by the Youth Advisory Team at other conferences and events, about 200 immigrant and refugee youth were directly consulted in total. 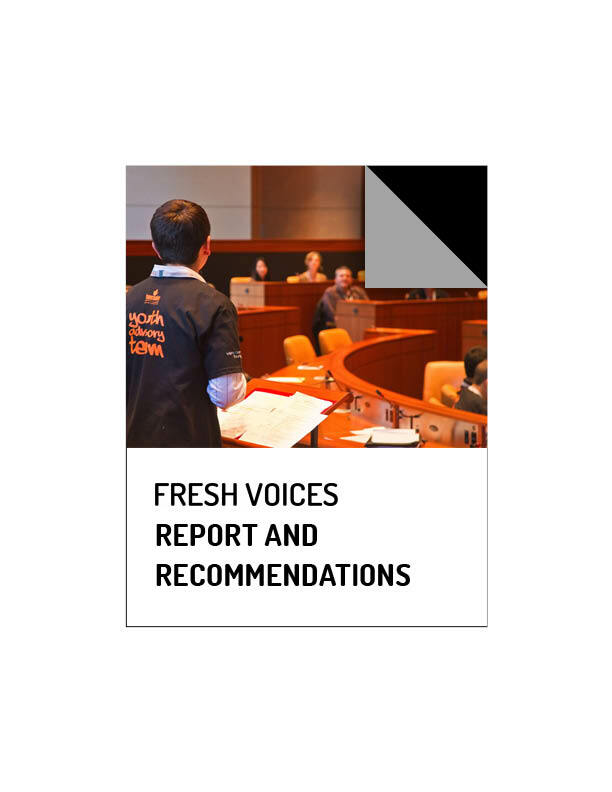 Our report outlines 16 recommendations that emerged, and includes participant‘s reflections on the process. Although the project dealt with the experiences of immigrant and refugee youth in British Columbia, many of the findings are relevant throughout Canada. We offer this information as a basis for moving forward with improving the lives of immigrant and refugee youth across the country.